On Friday 26 October 2018, the French Court of Appeal will announce whether it will uphold the decision by the investigating judges (juges d’instruction) in January of this year to drop the case against Dr. Hassan Diab. The investigating judges have found that there is consistent evidence that Diab was in Lebanon at the time of the 1980 bombing that tragically killed four people and injured dozens. They also notably underlined the numerous contradictions and misstatements contained in the anonymous intelligence, and cast serious doubts about its reliability. The investigating judges also stressed that all fingerprint and palm print analysis excluded Diab. However, despite conceding that there is credible evidence excluding Diab, the French prosecutor appealed the dismissal decision and asked the Court of Appeal to put Diab on trial. Following the decision by the French Court of Appeal on Friday October 26, the Hassan Diab Support Committee will hold a press conference to comment on the decision and respond to questions from the media. Don Bayne (Diab’s Canadian lawyer), Alex Neve (Secretary General of Amnesty International, Canada), and Hassan Diab will speak at the press conference. Numerous human rights and civil society organisations – including Amnesty International (Canada), British Columbia Civil Liberties Association, Canadian Association of University Teachers, Criminal Lawyers Association, and the International Civil Liberties Monitoring Group – have called on the Canadian government to conduct an independent public inquiry into Diab’s extradition, as well as to undertake a complete review of the Extradition Act so no other Canadian would go through what Hassan Diab and his family had to endure. 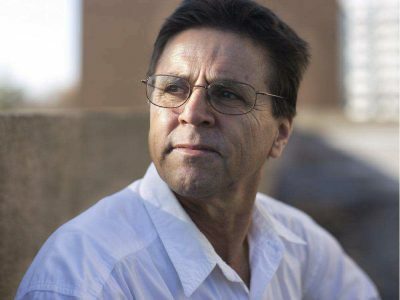 Dr. Hassan Diab is a Canadian citizen and sociology professor who lives in Ottawa. He was extradited from Canada to France in November 2014, even though the Canadian extradition judge described the evidence presented against Diab as “very problematic”, “convoluted”, “illogical”, and “suspect”. However, given the low threshold of evidence in Canada’s Extradition Act, the judge felt compelled to order Diab’s extradition. Diab spent more than three years in prison in France while the decades-long investigation was ongoing – this despite the fact that Canada’s Extradition Act only authorizes extradition to stand trial, not to continue an investigation. In January of this year, the French investigating judges dismissed all charges against Diab and ordered his release. Shortly thereafter Hassan returned to his home and family in Canada, after spending almost ten years of his life either imprisoned or living under draconian bail conditions. Diab has the support of thousands of individuals and organisations in Canada and around the world. Featured image is from Ottawa Citizen.